"Keep your anger level as low as possible," said Dr. Gary Smalley when he spoke on Sunday at Mclean Bible Church in Virginia. Smalley is a family counselor, president and founder of Smalley Relationship Center and author of numerous family relationship books. "Be angry, but don't stay angry." He quoted Ephesians 4:26 and said it was okay to be angry, but he emphasized: "Don't stay there." Let it go. 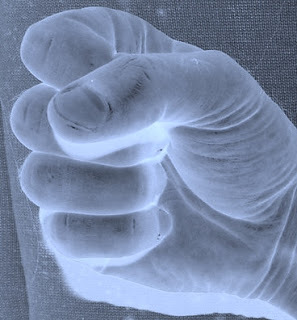 Don't keep thinking about and reliving the anger. "If we stay angry," he warned, "we move into darkness and can't know the love of God." He went on to explain some of the damage suppressed anger could do to us physically, emotionally, spiritually and to our relationships. "You can't bury anger dead. You always bury it alive," he added. 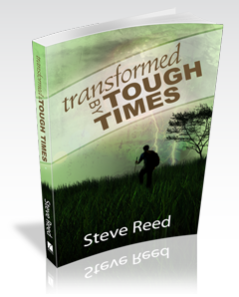 In his easy-to-read book, Transformed by Tough Times, Steve Reed offers answers and hope for those who suffer. That's just about everyone, isn't it? Have you ever wondered: Why do we suffer? Where is God? Can any good come from this? Reed explores these questions and many others in his book, Transformed by Tough Times. Reed shares from his own experiences and the lives of people we may know and some we don't -- C.S. Lewis, Joni, Jim Elliott, Job, and many others. Touches of humor and a very down-to-earth style help make this book readable. And stories. Lots of stories of real people and real problems. This book is good company for those who travel along the suffering trail. It covers familiar ground and adds some new perspectives and insights on difficult questions and hard-to-get-through situations. The author offers practical help and hope so tough times can be easier to bear. My mother recently died. Reading this book has been good company along the journey. It offers answers and hope for those who have, will and are going through tough times.